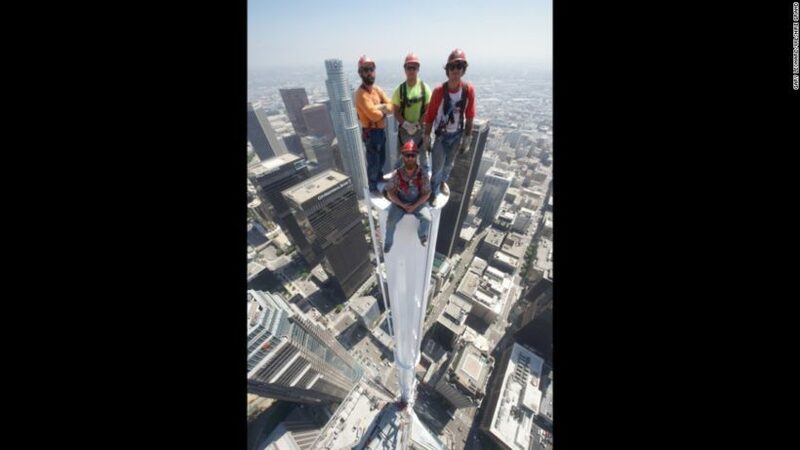 (CNN) – Construction workers took a death-defying photo from atop a spire 1,099 feet above the ground in Los Angeles last week. The iron workers who built the spire for the Wilshire Grand Center posed atop it in the photo. The tower was completed on Saturday. “Saturday’s completion of the 294-foot, 9-inch spire marks a milestone achievement in the construction of the Wilshire Grand tower — now officially the tallest building west of the Mississippi,” said spokeswoman Leigh Kramer. But how did they men get all the way up there? They climbed an internal maintenance ladder all the way to the top and were harnessed to the inside and outside of the structure, Kramer said. 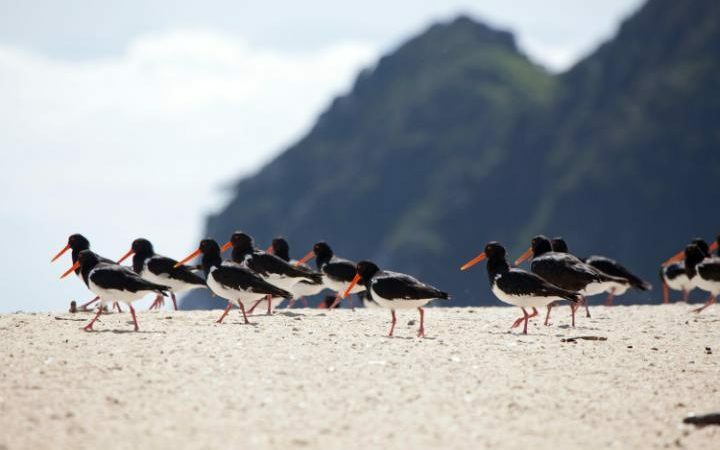 (London’s Daily Telegraph, July 11, 2016) – A New Zealand man whose ambitious crowdfunding campaign raised millions of dollars to buy a pristine South Island beach and make it public parkland said it was “surreal” to see his dream realized. Duane Major’s push earlier this year to take Awaroa beach out of private hands and make it a national park quickly went viral, attracting 40,000 donations to raise a total of NZ$2.3 million ($1.7 million). Mr Major, a pastor who describes himself as “an ordinary bloke”, was present when the beach was officially incorporated into the Abel Tasman National Park at a Maori ceremony in July. “I must say, it might have been the wind, but I might have squeezed out a wee tear or two,” Mr Major told TV3. 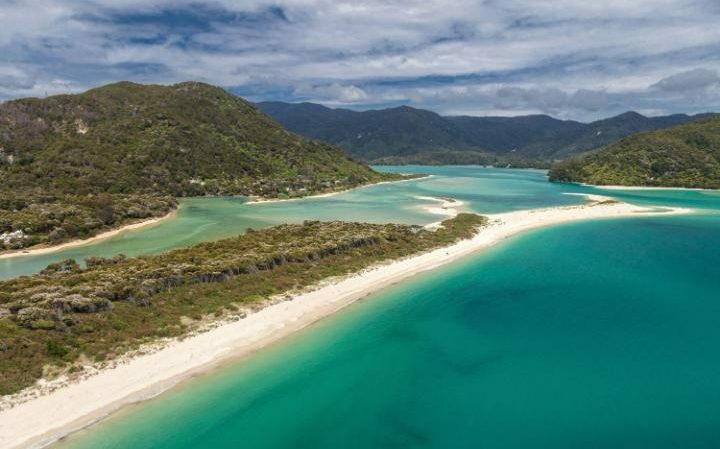 Awaroa inlet is an 800-metre (2,600-foot) stretch of golden sand at the top of South Island. Accessible only by boat or helicopter, it came on the market late last year, with real estate agents marketing it as “the best beach on the planet”. Mr Major decided after discussions with relatives over the Christmas period to set up the crowdfunding page. “We just gave it shot,” he said. It was the largest crowdfunding effort ever facilitated by website “Givealittle”, with donations ranging from children pledging a dollar to corporations giving tens of thousands. The government (taxpayers) chipped in NZ$350,000 and associate conservation minister Nicky Wagner said future generations of New Zealanders would now enjoy it. “All those who contributed have given a wonderful gift to our nation,” she said.